Another calm, sunny day in the capital region!! Our captains were excited to get on the water to see who was in the area for the day!! 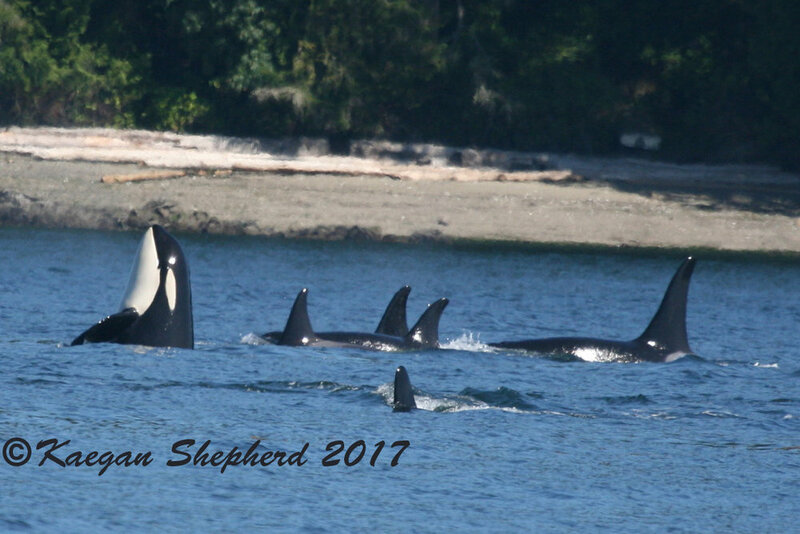 The Southern Resident killer whales (salmon eaters) are back!!! It has been a few weeks and we hope they find the food they need to stay awhile! Individuals from all three southern resident pods were identified!!!! They were encountered throughout the day fishing and socializing around the San Juan Islands! There are dozens of humpbacks feeding in the Juan de Fuca Strait right now! They migrate here in the summer to feed on the large amounts of krill and zooplankton. Deep nutrient rich water upwells into the Salish Sea and keeps our waters swimming with life (literally)!! These gentle giants are always a pleasure to encounter, and are often friendly! !